Class Divide takes kids from two sides of 10th Avenue and 26th Street – from the projects on one side and the new private ‘Avenues – the World School’ on the other – and follows them as they grapple with the incredible changes transforming Chelsea. These kids are witnesses to a microcosm of what’s happening around the world – rising inequality, stagnant class mobility, gentrification and much more. The film is a moving chronicle of kids who are neighbors, yet from very different backgrounds, all trying to make sense of where they fit in this rapidly changing new world and what their relationships are to each other. 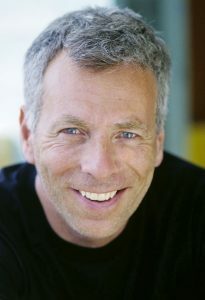 Marc Levin is an award-winning, independent filmmaker dedicated to telling powerful, real stories in a unique, authentic style. In his 35 years in the business, he has won three Emmys, four duPont-Columbia awards, the Peabody Award, the Grand Jury Prize at Sundance, and the Camera d’Or at the Cannes Film Festival, among others. Highlights include: Slam (1998), his runaway festival hit; Brick City, a docu-series about the city of Newark following Mayor Cory Booker; and Chicagoland, an 8-hour docu-series for CNN and Robert Redford’s Sundance Productions, which premiered to great critical acclaim and was nominated for a 2014 IDA award for Best Limited Series. His most recent projects include directing Class Divide, the third in a series of HBO documentaries exploring how global economic forces have impacted the lives of everyday people; Rikers, produced with executive editor Bill Moyers, is the first film to focus exclusively on the men and women who have endured incarceration at Rikers Island, which premiered at DOC NYC 2016 and will have a national run on PBS this Spring; and the Animal Planet series Ocean Warriors, executive produced alongside Robert Redford and Paul Allen. The series follows activists, journalists and scientists working to fight poachers and organized crime in oceans across the globe.